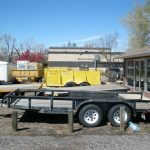 Gooseneck Trailer Rentals - A & J Time Rentals, Inc.
Gooseneck trailer rentals are one of our most popular rentals as they can haul heavy equipment and heavy loads. 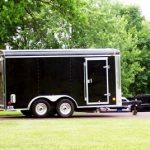 These trailers are made to carry a 15,000 pound payload of whatever you need to haul. 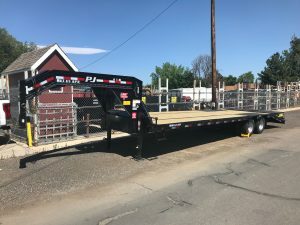 We have one 30″ PJ gooseneck trailer with tandem axles and dual wheels, that has ramps called monster ramps that are as wide as the trailer, and they fold into the dove tail in the back making the deck 30’ long flat. 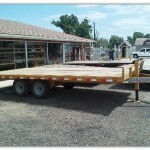 People use this trailer to haul hay, and heavy equipment that weighs up to 15000 pounds. 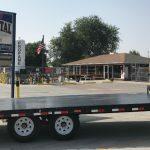 We have two 30 ft. trailers custom made by Superior Trailers Manufacturing & Engineering Corp. which has a fully developed quality control program that assures each customer that every trailer is built to the highest standard to provide years of reliable service. 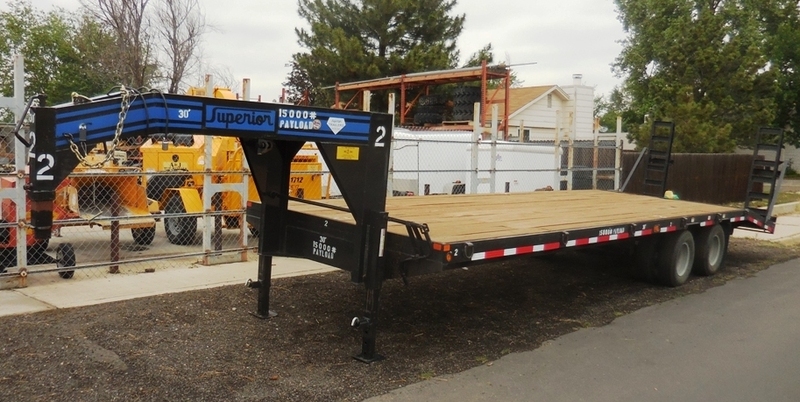 At A and J Time rentals we are committed to providing you with reliable equipment at competitive prices. 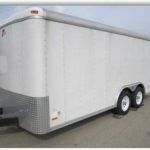 Please call to reserve your trailer ahead of time as they are very popular.